In June 2016, D CEO launched its first annual Women’s Leadership Symposium. In partnership with the Texas Women’s Foundation and TCU, this event has quickly become one of the most inspiring, educational and informative programs serving the Dallas-Fort Worth women’s community. 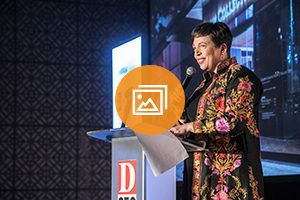 Having grown to more than 500 attendees per year, and with increasingly supportive feedback from speakers, sponsors, and readers alike, D CEO is expanding this single-day event and launching a new year-long initiative beginning in 2019. In a new recurring feature that launched in January, D CEO editors conduct in-depth interviews with some of the region’s most dynamic women executives. They talk about challenges they’ve overcome and share their key strategies for success. Each month, readers get an expanded version of our ‘Women Leaders’ feature, expanded Dallas 50 content, and insights from women executives who are featured in the most recent edition of D CEO. It also includes details on upcoming Women’s Leadership events – such as the quarterly panel series, annual symposium, and partner community events. 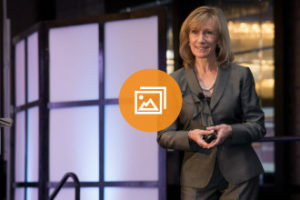 The annual half-day Women’s Leadership Symposium is designed to inform, engage, and inspire, combining a series of keynote speakers, panel discussions, and networking opportunities. The new Quarterly Panel Speaker Series provides readers with an opportunity to listen, learn, and connect. Speaking topics will include issues impacting women in leadership roles, the state of the region and economic forecasts, business success stories, lessons learned along the way, and more. D CEO magazine invites you to join us at the fourth annual Women’s Leadership Symposium. The half day symposium will be an opportunity to inform, educate and inspire leaders on subjects such as: Developing Talent, Building Brand, and Building Talent. What is D CEO Women’s Leadership? Launched in 2016 with an editorial package and half-day symposium, our D CEO Women’s Leadership initiative has been expanded into a year-long program that also includes regular magazine features, a series of quarterly panel discussions, lunch-and-learns, and a monthly newsletter from D CEO editor Christine Perez. Join us at the fourth annual Women’s Leadership Symposium on May 30. The half day symposium will be an opportunity to inform, educate and inspire leaders on subjects such as: Building Your Brand, Developing Talent, and Growing Your Business. Purchase tickets here. Get career strategies and other insights from Dallas-Fort Worth women business leaders, plus updates on D CEO award programs and events, through our free monthly newsletter. Sign up below, or click here to see all newsletters from D Magazine Partners. Sign up for our D CEO Women’s Leadership newsletter now and receive monthly career insights and strategies for success from Women business leaders across North Texas along with special invitations to exclusive D CEO events.